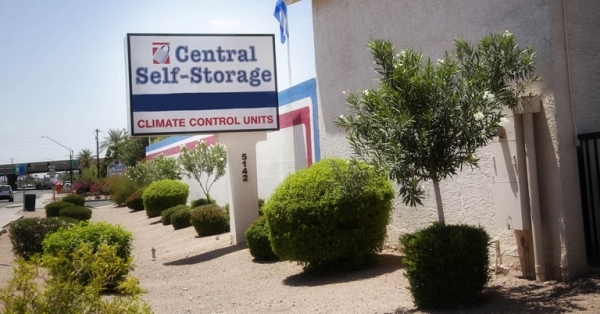 At Central Self Storage, customer satisfaction comes first! We will do everything possible to see that your storage needs are met. Our professional managers and assistants are ready to help. Whether it's help choosing the right unit size, finding the right moving and packing supplies, or just answering a question, you can rely on us! 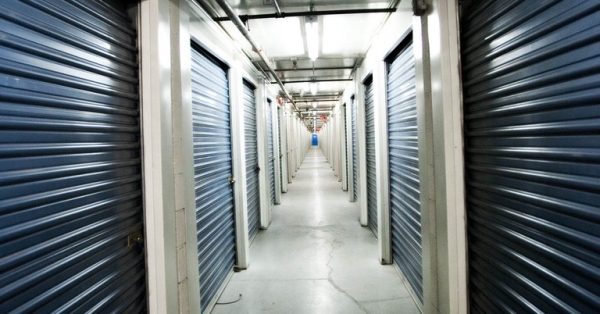 At Central Self Storage, our facilities are inspected regularly to ensure that you have a safe and clean place to store your goods. We have features such as heavy duty fences, electronic gate controls, surveillance cameras, and security lighting. For one reason and one reason only... your peace of mind. *24-hour access is available for business rentals upon request. Teresa (the manager) was extremely helpful!! Customer service was on point. I was able to get into a spot right away and she helped to show me where to go to get there. They we're friendly & nice & helped us with all out needs. Their 'temporary hours' are that the office is closed 3 days a week, and no one to resolve problems. The elevator is broken, again, so you have to haul up and down the stairs. Their 'climate controlled' is evaporative coolers, several of which are not working. There are signs posted inside the building 'Security Cameras in Use' but there are no security cameras inside the building. they are so kind, helpful, friendly and professional. I'm so happy I found them, convient, safe, clean and well managed. Very nice and clean facility with a very pleasant manager. Excellent storage facility. Highly recommend it. Rep was nice but place had dead insects. Dead means they spray the place which is good though. Nice to see they have security cameras. Fast process and was able to move things into the storage same day. Easy process and i got a climate controlled unit! The entire process was solid everything was exactly as described. The rental manager even let me pick which unit i wanted which was perfect. Good customer service. Friendly staff. Fair price. The manager, Gabe, is awesome! This storage company was perfect for me as a college student; it's a 4 minute drive from GCU campus. I was a little upset because we didn't get to use a moving truck maybe if the customers who reserve a storage space could reserve a truck also it would be better. There are many fine qualities regarding the people and customer service. Even so; I really feel the facility needs to be better maintained and cleaner as well as updated. Not visually pleasing but great customer service.. Customer service is amazing, they offer a truck rental, gated entrance. Facility is kind of run down, but not intolerable. You get what you pay for. 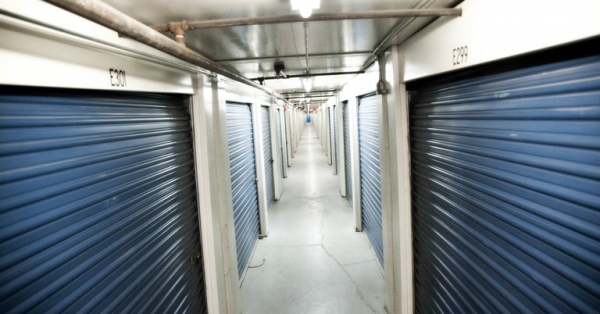 My overall experience has been above average in all aspects of entering into a relationship with a self storage facility. I would and have given rave reviews to friends about this facility and look forward to my storage stay. Great price and customer service! The price per month is great for the amount of space you get! 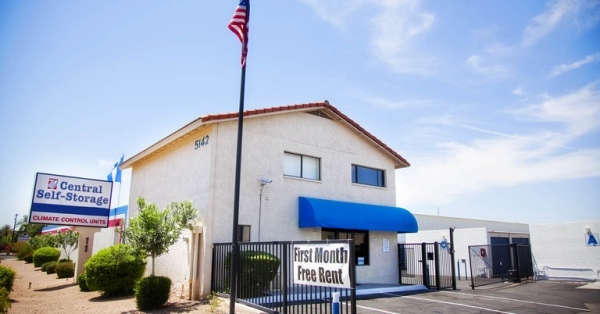 Other storage facilities in the Phoenix valley area were twice as expensive for less space. The management is very professional and friendly. The storage unit I got was pretty dirty inside but not terrible, a few of the lights indoors were not working, and it was hard to move my boxes to the second floor with no dollies or handcarts to use. I also assumed that a "climate controlled" space would be cooler, but the indoors building was still probably 85+ degrees inside (as opposed to 105 outside). Otherwise, it seems great. Basic storage facility, nothing fancy but secure. The elevator is a freight ONLY lift, the ad is misleading. It is very difficult and time consuming to use the freight lift, even the doors are extremely heavy and there is a possibility of getting locked in this dark lift. Hallways are dark, gloomy, and creepy even with the lights on (which you must turn on by yourself and they are located in an inconvenient place from the units.) Great customer service! Must provide ID to use carts and they can ONLY be checked out during day office hours. It's okay for what you pay, but I was not very impressed with the amenities. Reserved online and it was so easy, no complications at all!! Very satisfied!! No hassles at all will use again if ever needed! Thanks for making it simple! Fast, good prices, and services. My check in went fairly smooth, however, I was not given a tour of the facility and had to figure out how things worked on my own. ie the elevator, I had carry to load of boxes up the stairs before I figured out how to operate the service elevator. I am a single fem college student and no one thought to tell me about the service elevator. Also, the storage locking device was stuck, but he worker came out quickly and fixed. I just hope it does not stick again. I had an awesome experience. Customer service was wonderful. Thank you. Owen is awesome, courteous, extremely helpful. My experience with Owen was very pleasant. I was having the worst moving experience of my life everything that could go wrong did. I found Central Storage online and was greatful they had a 24 hr kiosk to rent a unit, because of course with all that's gone on at this point its like 12am and no place is open. Well par for the course my card doesn't want to work and there we sit tired frustrated and ready to SCREAM!!! well the onsite manager comes down and tells us sorry they are closed due to the gate being broke. I just laugh what can you do at this point. Well I told Hermy story and even tho she was sick in bed on her day off she opened the place up and rented me a unit and saved the day. We had to go through a side gate but she got us a hand truck and stayed up way late while we unloaded into our unit. She went far and above what she had to do and for that I'm greatful beyond words. The facilities are clean, secure and easy access. I would recomend them to anyone in a heartbeat. True story every word. 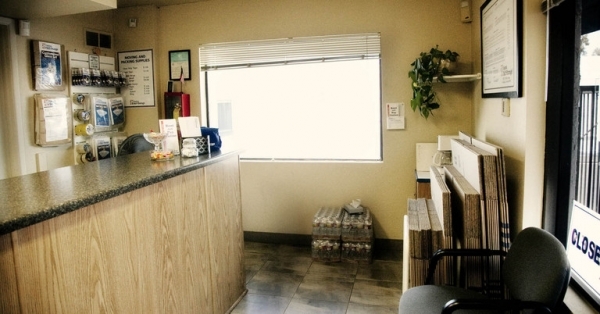 the manager is sweet and helpful and the unit is great and priced well. The customer service from the time of my call to book a unit up until I finished my paperwork and moved in was great. They helped me choose a great size unit and helped me understand the paperwork and all information needed. My experience was overall great, good service and didnt take too much time to get a unit. Just what was promised! Good value, friendly staff. Julian, the Manager was outstanding all the way from our first phone conversation to the end. Also, I used their free truck and was running late and had to drop it off an hour after they closed and it was not a problem. Our reserved unit had been rented to another party. We were given the option of a 10x15 for the same price as a 10x10. We were very satisfied with this offer. The man at the front desk was ready and willing to help and explain anything I needed. He was considerate and helpful. The only problem was the computer showed a monthly rent that was higher than what I saw online. When I brought this to his attention he called his superior and got everything straightened out. I am sorry the last post should have said I needed to pay an extra day for Safemove for the u-haul truck not the storage unit my bad. Absolute worst experience of my life! This is the worst business situation I have ever been in . The first time I pulled up to the gate they had giving me the wrong passcode. I did not realize it was my cell phone number untill I tried to enter the code numerous times and recieving ACCESS DENIED! I had to figure out the two numbers needed to be switched around. Well step two it was awfull finding my unit because most of the hallway lights did not work and the unit number on the door was in some sort of black marker like . Only to find my unit with a lock on it that noone took off yet oh and found the elevators did not work after I found them alllllllll the way down the opposite end of my unit. There was absolutely no emergency number to call. The person who came to the private residence door said"oh I'm just here packing up for the manager and don't work here they let the manager go" When I explained my problem with a u-haul full of things I needed to get in storage by 10:00AM the next day because I needed to return the u-haul he said there is nothing that can be done. Well so then I had to drive sixty two miles back to my home to leave the u-haul filled with my things and hope to figure something out during the night. To end this long boring and disgusting story yes you guessed it I lost my 25.00 for the unit had to pay another 60.00 at a different storage place I was afraid to go back to that place again. Oh and not to mention I did not make my cut off time soooooooo I ended up paying for an extra day use of the truck,extra day for storage insurance,and extra miles for a total of 110.00. Keep in mind I already paid 127.00 when I pickep up this u-haul. All this stress for someone who just lost their Mother and needed to leave his residence! I hope and pray that noone else ever experiences this with this place. Good luck. This particular location is under new management and my customer service representative was Jose. He was fantastic. Although he is new to the job and still in training, I never would have known. My situation was of an urgent and somewhat complicated nature. Start to finish, I only had a very short window of opportunity in which to process my paperwork, fax over proof of insurance, sign off on agreements, rent a moving truck, select a storage unit, get things loaded, transported and unloaded etc. I had less than 3 hours start to finish. I reserved online and when I walked in I was the only one in the office. Jose was by himself. About 15 minutes into my transaction however, another customer came in to pay their rent. They quickly became disgruntled after learning that I too was a âpaying customerâ and they would have to wait their turn. Their ongoing displays of extreme impatience did nothing but add stress to the situation. However, in spite of this customers continued annoyance, rather than get flustered, Jose really saved the day. He not only treated us BOTH with dignity at all times, he kept his composure and professionalism all along the way. So imagine my surprise at learning that he was NEW to the job! I will definitely tell a friend about this facility.